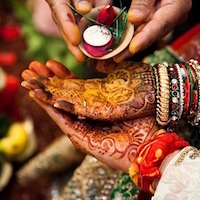 As we know Indian weddings are not just a one-night wedding ceremony, it usually calls for a few nights of celebration. From engagement to Mehendi to the wedding night, you need a special outfit for each occasion which you might not wear more than once in your life. Buying unique bridal outfits for each and every occasion could be really confusing as well as, a costly affair. 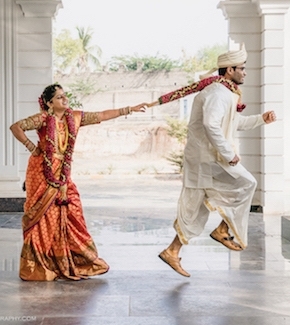 Two friends who faced with the same problem have come up with a business, UNVEIL, which is a new age studio, based in Kuala Lumpur, Malaysia which represents traditional wedding wear for the non-traditional bride and her friends. 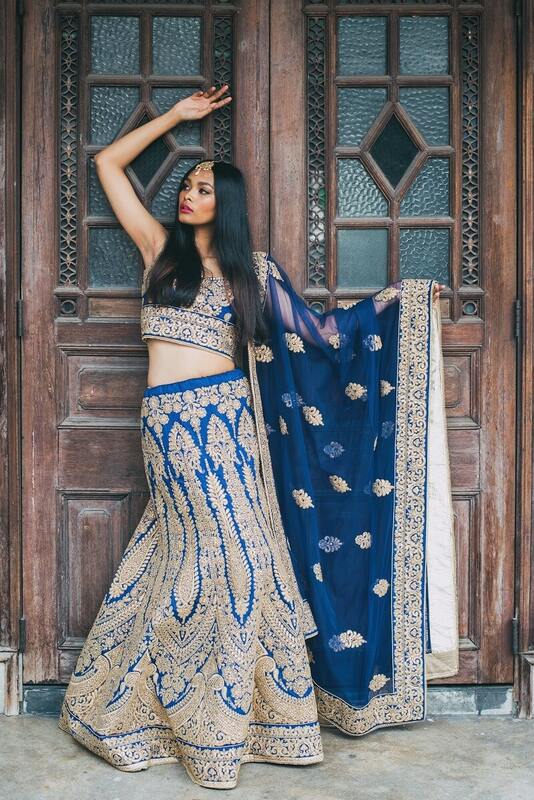 From carefully designing and curating lehengas by artisans all around the world to offering rental services (which is what we’ve been waiting for), Unveil has much to offer. Nishalni, who holds a degree in Business and masters in Law, UK, is also the founder of Hoppers, a contemporary Asian restaurant based in Kuala Lumpur. Deadly motivated, she’s also looking to venture into other businesses of interest in the near future. Rimka who holds a degree in Psychology from The American University of Paris, France is planning to get masters in Fashion psychology from London next year. Apart from the impressive education field, she is currently in midst of launching a high street fashion line. Oh and, she’s a DJ too. (I don’t know about you guys, but I’m fan-girling already). How Unveil Came Into Existence? 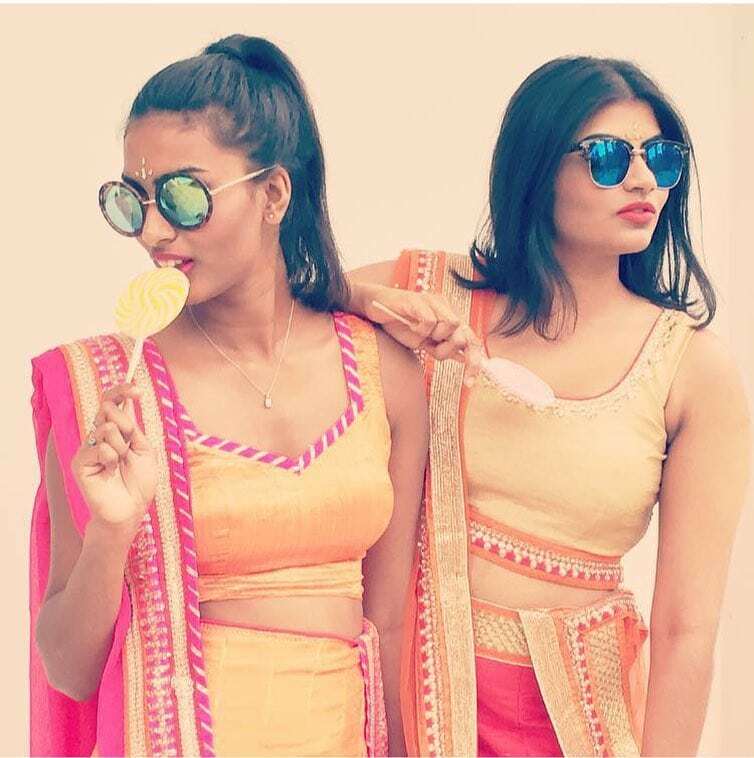 Based out of Kuala Lumpur, starting a traditional Indian wear line seemed kind of strange but they managed to make it successful. Inspiration came easy to these young girls. “Friends who are getting married always come to me asking where they can purchase unique bridal pieces for their wedding day or wedding photo shoots. I then realised that there aren’t many bridal studios with a focus on Indian bridal wear. 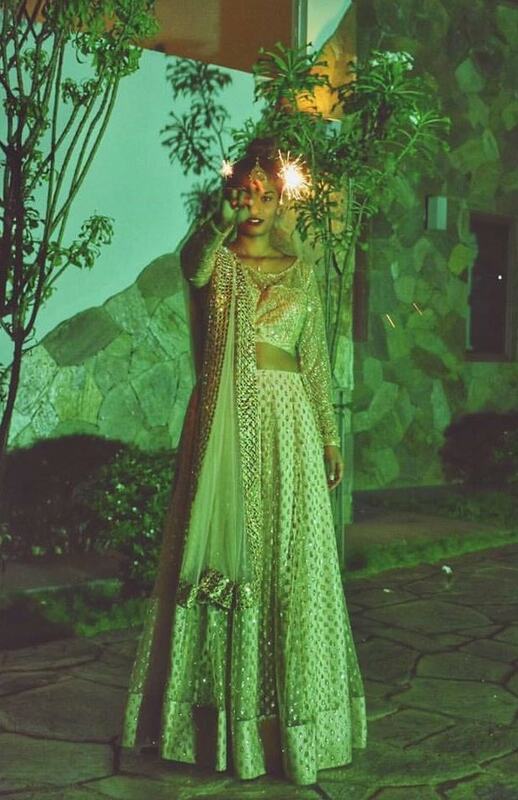 Hence, we decided to start UNVEIL where we focus on bridal and Cocktail Lehengas, Anarkalis and Sarees”, Rimka recalls. As they also offer rental services, inspiration came from Nishalni’s friends. 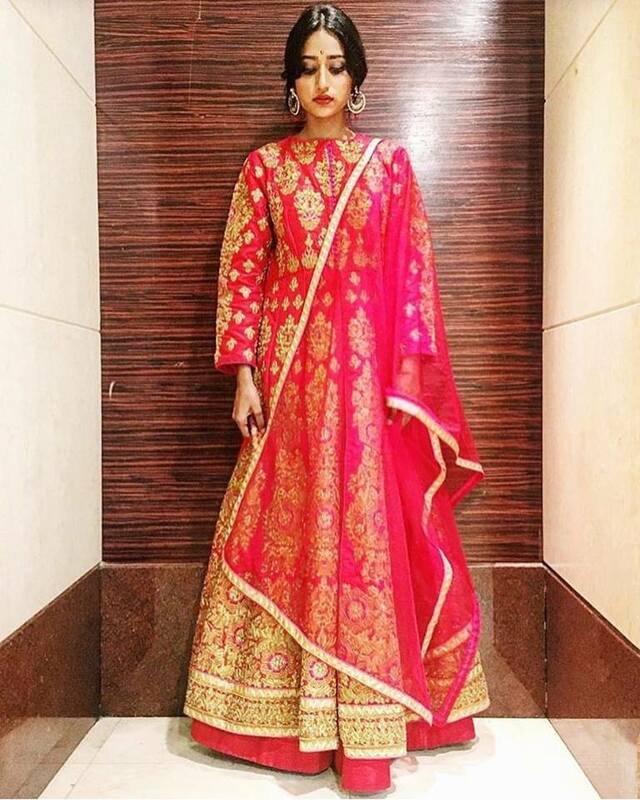 “Many friends from various ethnic backgrounds always ask me where they can rent Indian wear because they don’t want to spend much on an outfit they would probably just wear once.”, Nishalni says. Nishalni and Rimka were from the same high school but lived abroad for several years. They then caught up in Kuala Lumpur and realised that they had similar interests as both were involved in other fashion projects at that time. 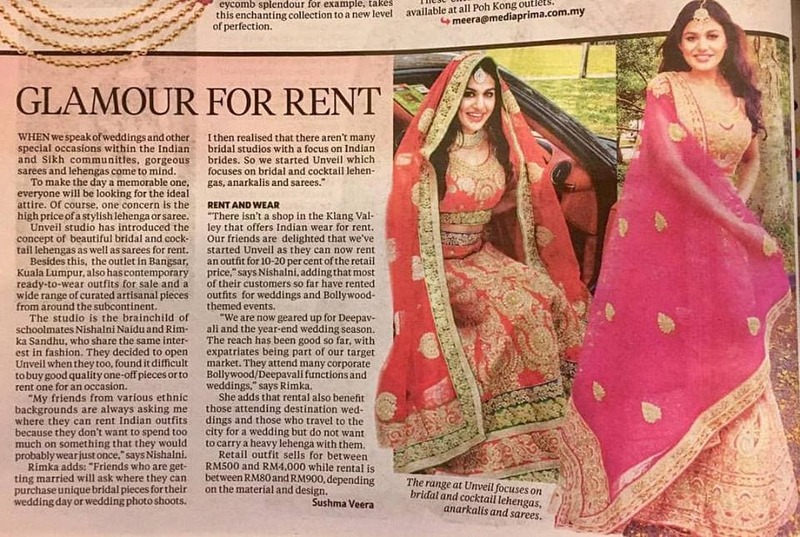 From their personal experiences, they always found it hard to find good quality one-off pieces to buy or even to rent and there was a lack of bridal studios catering to Indian brides in Malaysia, hence they decided to venture into this”. The duo realised its potential after a holiday to India where they explored their fashion sense to be similar as well. They found a wide variety of latest Indian fashion by sourcing garments from Mumbai, Delhi, Gujarat and Rajasthan. At UNVEIL, one can get lehengas with detailing like Phulkari (an embroidery technique from the Punjab region) and Zardozi (metal threadwork) which add to the prestige and modernity of each suit. The business, which started in May 2016, sees a varied clientele including those who need a traditional outfit, be it for a Bollywood-themed office party or for Deepavali day. They also took into account expats who live here or are attending a friend’s destination wedding and may need to rent or purchase an outfit. 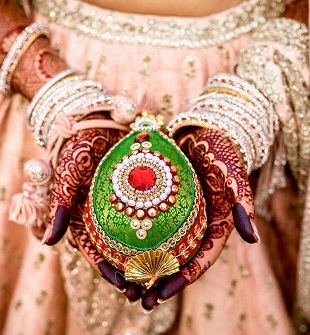 Their services include Bridal and Cocktail Lehengas, Anarkalis, Sarees, Lachas, Ghararas, and Indo-Western Fusion pieces. What makes them different from their competitors is that they tastefully curate and design their pieces as opposed to buying bulk catalogue pieces. They also offer free alteration and dry cleaning services. For them, buying experience is very important therefore they pay attention to each and every detail from finishing off a piece to packaging. Partnership with Wedamor: For now, UNVEIL is only offering dresses on sale and not on rent, until they branch out to have a second base in India. 1. Come by their studio, try a few pieces and pick the piece you would like to rent. (They are working on making their rentals available online, to make it easier for someone to rent it). 2. They will alter it according to your size. 3. You can pick it up on the preferred date after payment and security deposit. You can keep the piece for 3 days (if you want it for long, they can arrange that as well if no one else has booked it). 4. On the 4th day when you return it, they will dry clean it in time for the next customer. If there are no severe damages done to the piece, you will get back your security deposit without any deduction. For now, customers have to pick up and return, but eventually, once they start their rental service online, they can get their dress delivered at home. 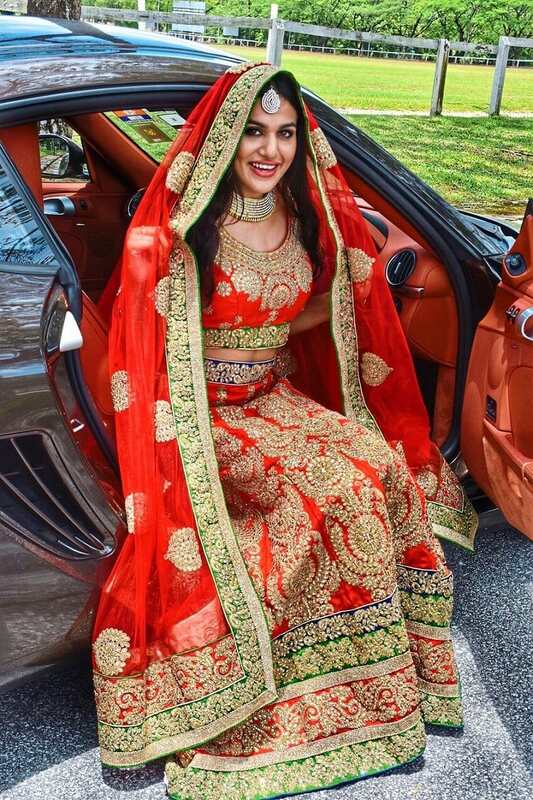 Brides outside Malaysia would be able to check out their gorgeous collection online in 2 months and they are looking forward to expanding their business in India. UNVEIL is branching out to regional and international markets through bridal exhibitions, fashion shows and pop-up events. “Eventually, we would like to design more pieces instead of curating and include other upcoming and established designers from all around to our rental section, but only if we find unique designs that go with our brand image”, says the duo. They are also looking forward to launching an in-house ready-to-wear collection focusing on contemporary Indian outfits, and incorporating mod elements to the traditional Indian garment in order to make it an easily wearable outfit. Apart from this, they are also planning to include menswear and curated shoes, accessories and handbags under UNVEIL.